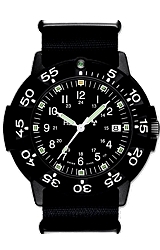 Welcome the first T100 Tritium watch to the Traser lineup. 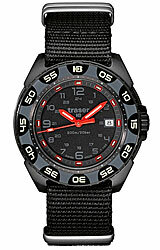 The all new Traser Red Alert T100. 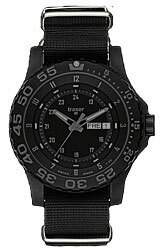 This is an amazing addition to the line of already great watches. 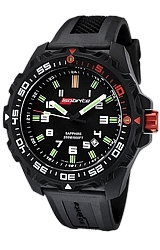 Made with super bright T100 Tritium Illumination, the Red Alert does something no other Tritium watch does, a fully illuminated Elapse Time Bezel! Perfect visibility day or night.